There’s nothing quite as festive as a family Thanksgiving dinner, as joyous as Hanukkah, or as magical as Christmas. You can bring the whimsy of these occasions to your holiday meals with well-appointed table settings to delight adults and children alike. Small family gatherings allow loved ones unique opportunities to gather together, celebrate, and make lifelong memories. Emphasize the importance of the occasion by beautifying the table where once-a-year conversations will take place and precious time will be shared. 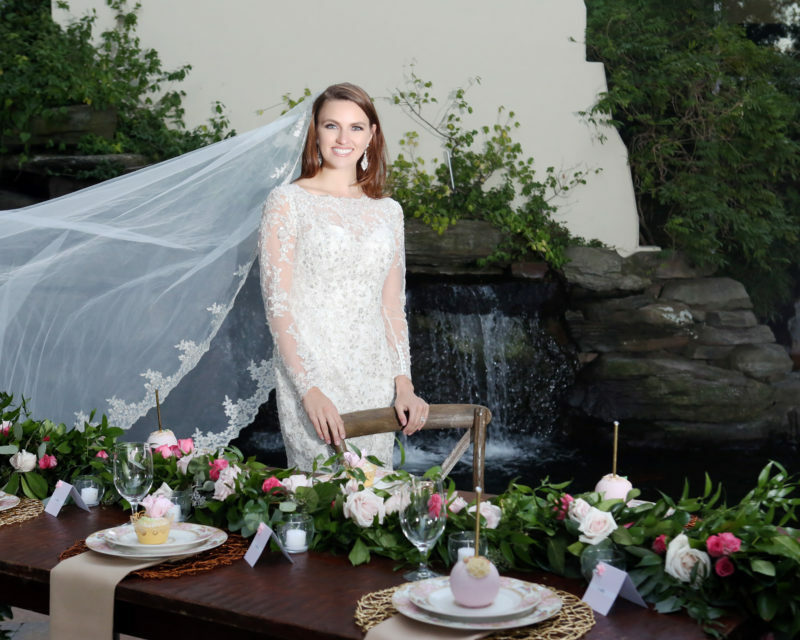 To make your intimate celebration an event to remember, begin with a simple tablecloth that will allow the rest of your elements to shine. 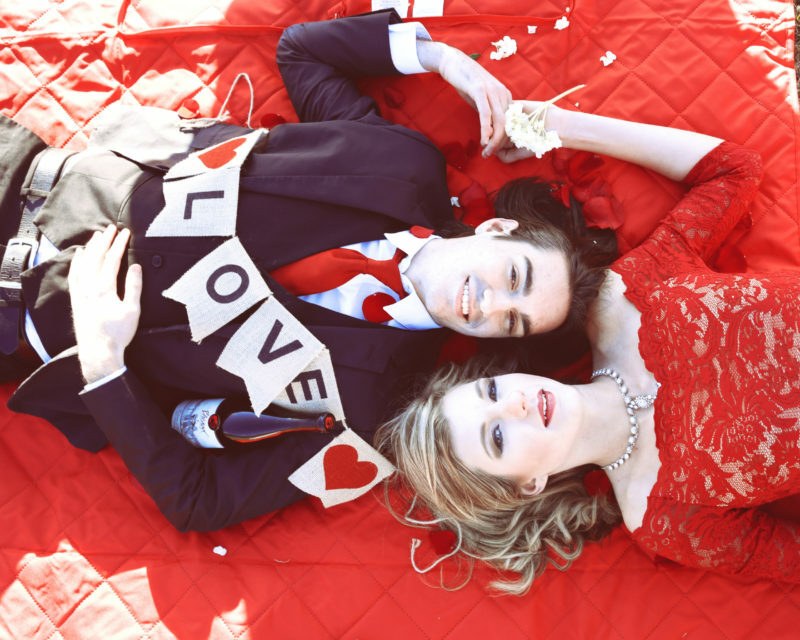 Incorporate classic pieces such as elegant chargers, plates, and silverware, then layer on the whimsy. 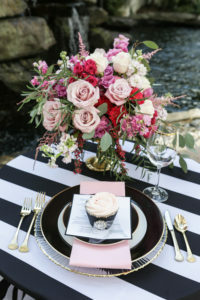 Brightly colored napkins, etched glassware, and themed place card holders provide visual interest and a festive scene. Flowers steal the show by dressing up any table with color, depth, and subtle scent. Tap into your own unique creativity to make your table settings memorable and magical for all of your guests! Here are a few examples of table settings that Exceptional Events by Elisa can arrange for you on-site, or deliver to you in a box! 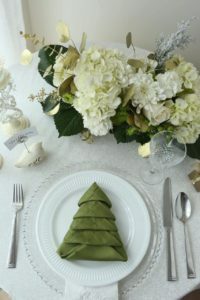 Turn your Christmas dinner into a fun and festive event with delightful Christmas tree napkins surrounded by white wintry flowers, a subtle snowflake tablecloth, and white turtle-dove place card holders. 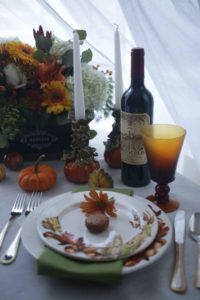 Capture the essence of Autumn with a Thanksgiving table setting complete with a tempting cocktail, warm florals, and harvest-inspired details. 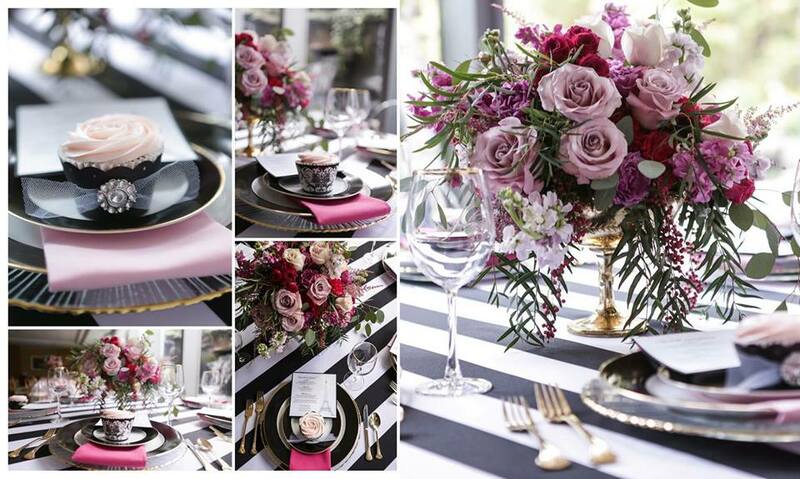 Experience Parisian elegance with elegant black and white tablewear, pink and gold accents, and a charming Eiffel Tower menu. Interested in a custom table setting for your upcoming event? 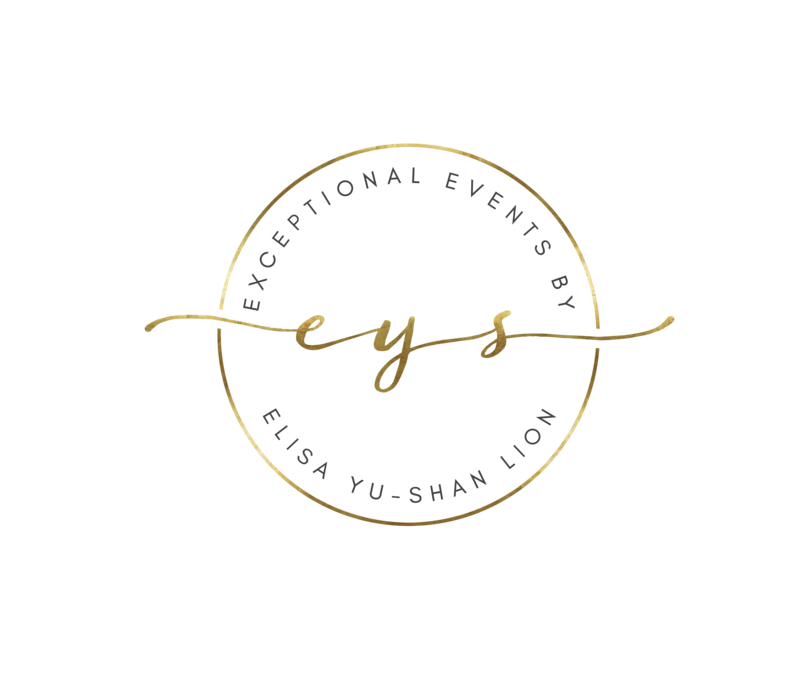 Then look no further than Exceptional Events by Elisa. We can set your table for you on-site, or you can take advantage of our new table setting-in-a-box offering. 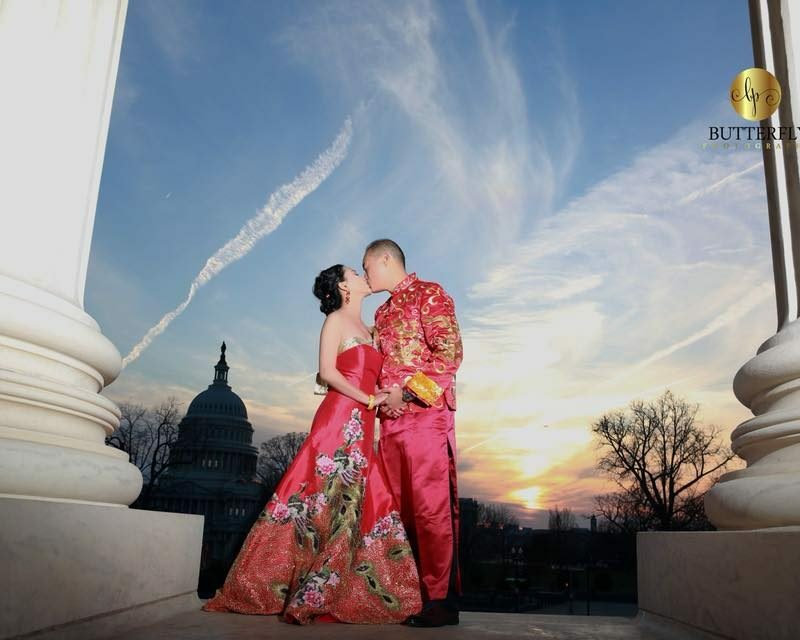 Please contact us for more details at (703) 752-6287 or eyushan@exceptionaleventsbyelisa.com.